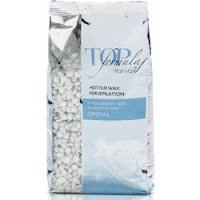 ItalWax Top Formula Synthetic Film Wax - Crystal - Hard Stripless Wax Beads. Semi-transparent wax has superior elasticity. 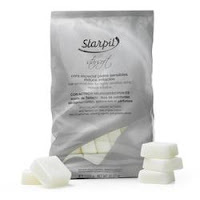 Premium level synthetic wax is intended to be used for hair removal on delicate areas (bikini, face, armpits). The wax is free of natural pine resins, therefore it never causes allergy reaction. Synthetic hard film wax Crystal has very low melting temperature is extra-flexible and doesn’t create stretchy threads. 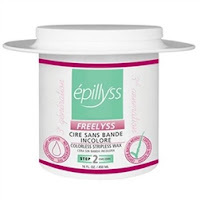 This natural, colorless stripless wax is manufactured specifically to provide a depilation without residue on the skin. Made with a natural resin and does not contain any dye, parabens or artificial fragrance - it meets the ecological requirements now in demand. Bolero container Hard Wax - 16 oz / 476 mL. DEPILEVE Crystal Clear Wax / 14 oz. 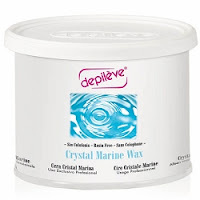 DEPILEVE Crystal Clear Wax provides a smooth and liquid application with excellent grip on fine and short hairs. Non-sticky formula for all types of skin. 14 oz.